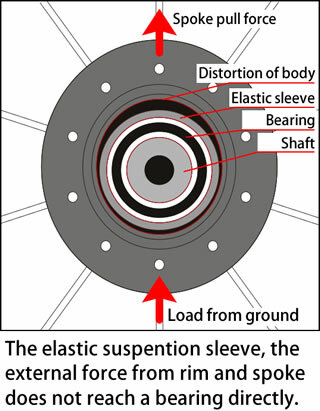 Improving the strength of the axle greatly, it does not degrade the original performance of the bearing against weight and centrifugal force during the competition. GOKISO hub with strong flanges made by A7075-T73 is able to react without the loss of power even in tough situations. You will be able to experience the rolling smoothness even in the arena. This is the hub for athletes. 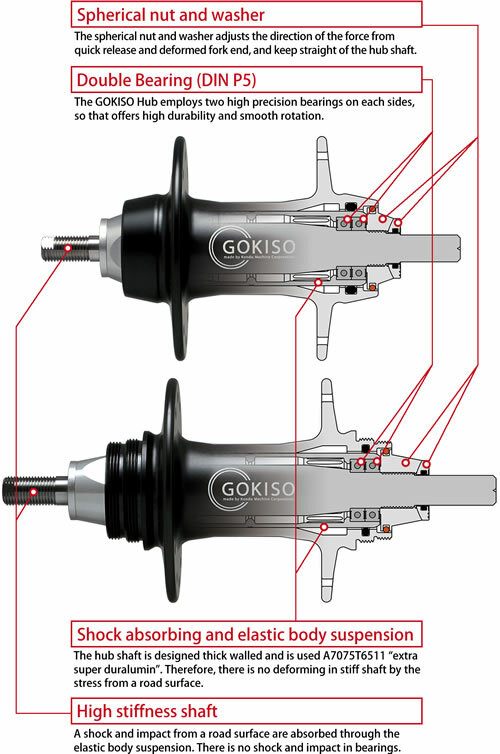 GOKISO Hub has two bearings each side ("double bearing system") whereas a standard hub has a single bearing on both sides of the shaft. 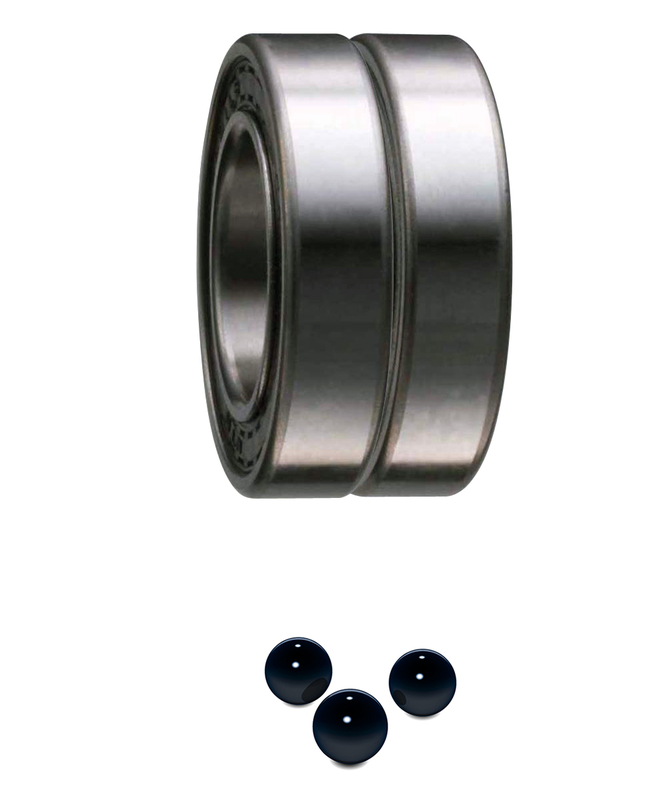 In addition to the four bearings in the front, we have added extra bearings to the rear unit drive; totaling seven bearings. This new structure improves durability against static load and minimizes the bearing vibration.